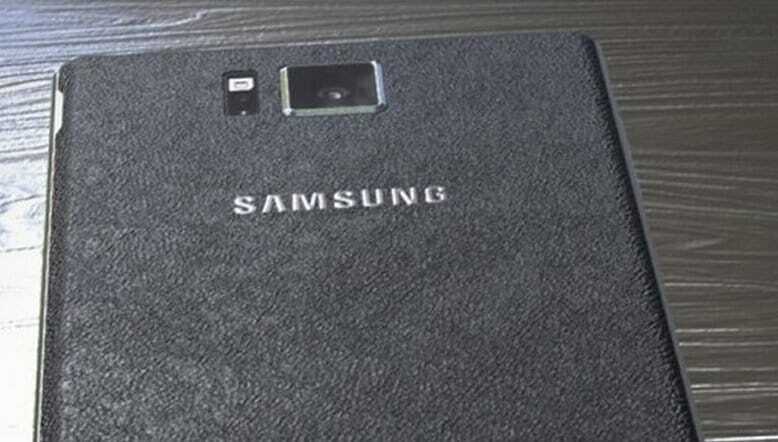 As we previously announced on several occasions, the Samsung Galaxy Note 4 phablet expected ahead of IFA 2014 in Berlin. 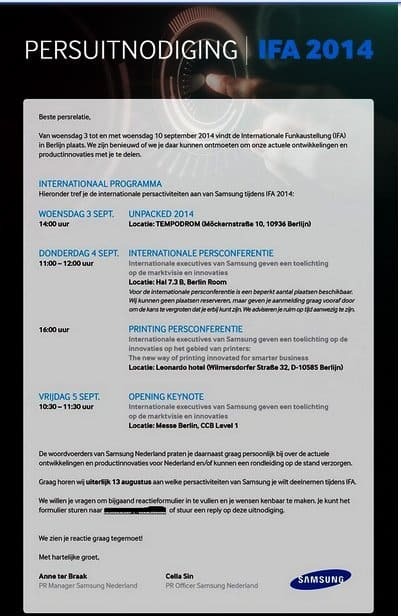 Below you will see an official invitation that Samsung sent partners and journalists. The main event, the presentation of the Samsung Galaxy Note 4 phablet , should be held on September 3rd at 14 hours, Which is quite early for this company, it is common for events to work late, but it seems that this year the competition is more high and requires every way that would counteract the competitive companies. It also have a built-in rear camera of 16 MP, probably with a Sony sensor. Of special additives expected “retina scanner “(eye scanner), and a sensor that reacts to ultraviolet rays ( ultraviolet light sensor ). Another model that is expected in Berlin at the fair IFA 2014 is the mysterious Samsung Galaxy Alpha , Which should come with the new S-Pen digital pen. All we know exactly for a little less than a month, now it is still all speculation. Next articleXiaomi Mi3 accessories are on sale in Flipkart, Pre-order now!